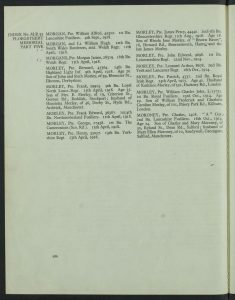 Leonard Arthur Morley was born in the 2nd quarter of 1892 in Box Hill, Surrey to labourer James Morley and Matilda Morley nee Atkins. He was baptised on the 21st of August 1892 in Mickleham, Surrey. At the time of the 1901 Census, the family lived at 18 Seymour Road, Acton, Middlesex. James was working as a general labourer and Matilda was at home. The household further comprised of their children: Florence, general servant Gertrude, Henry, Albert (Herbert), Leonard, Violet and Constance Maud. 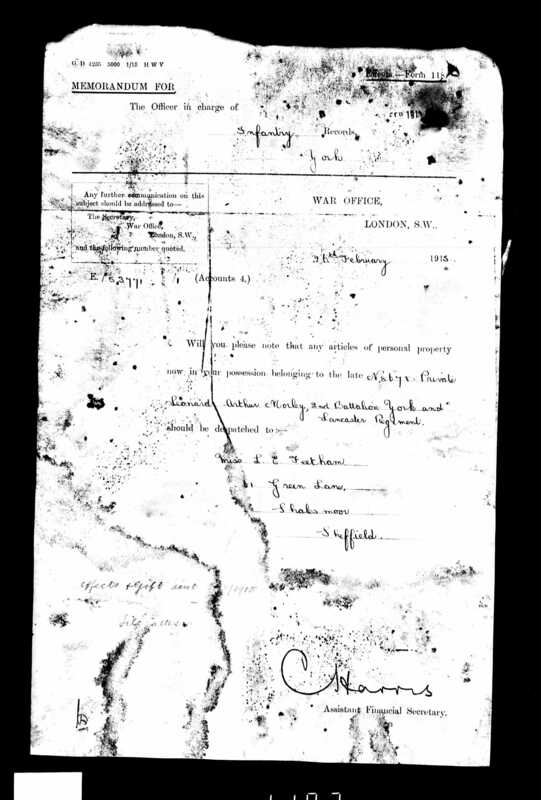 At the time of the 1911 Census, Leonard Arthur’s family lived at 87 Leverson Street, Streatham, London. James was working as an underkeeper and Matilda was at home. The household further comprised of their children: Florence and schoolchildren Constance and Fredrick. Matilda stated that she had given birth to ten children of whom eight were still alive. The accommodation had five rooms. 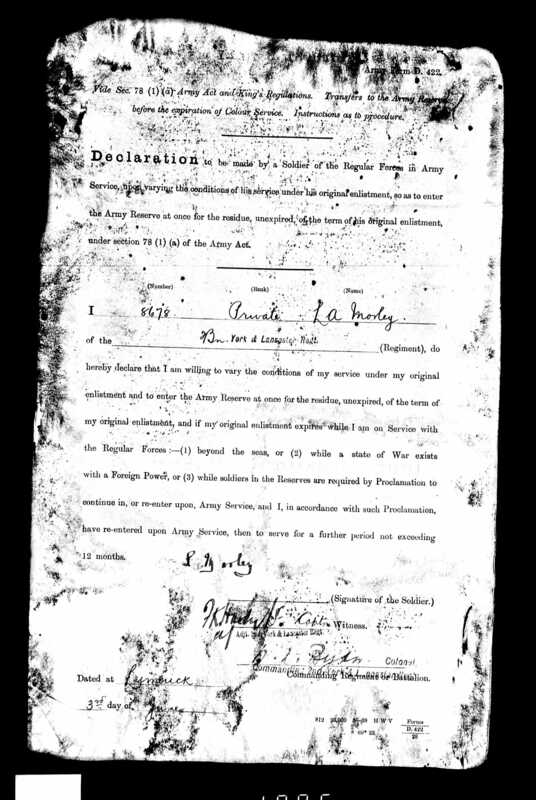 Leonard enlisted on the 27th of April 1907 in Stratford, Essex into the 2nd Battalion, the York and Lancaster Regiment. 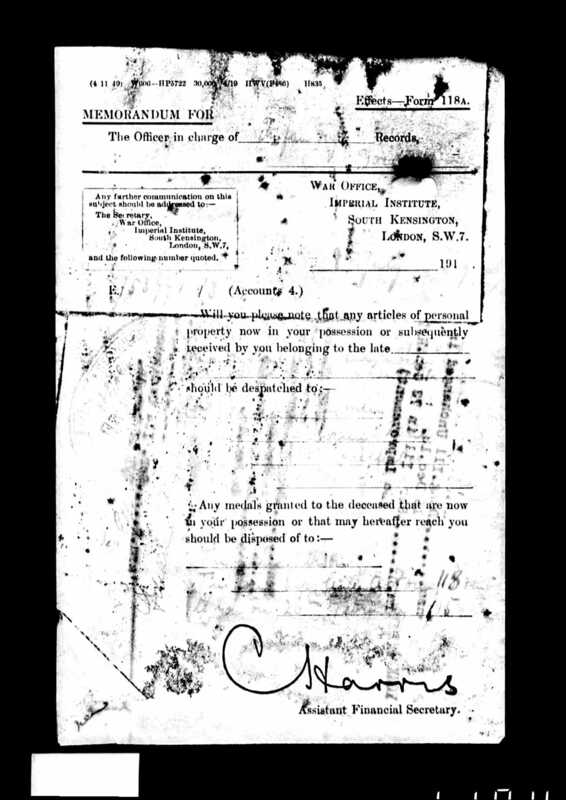 In his Attestation Papers Leonard falsely stated, that he was born in 1889 in Leyton, Essex. In fact he was barely 15 years old at the time of his enlistment. 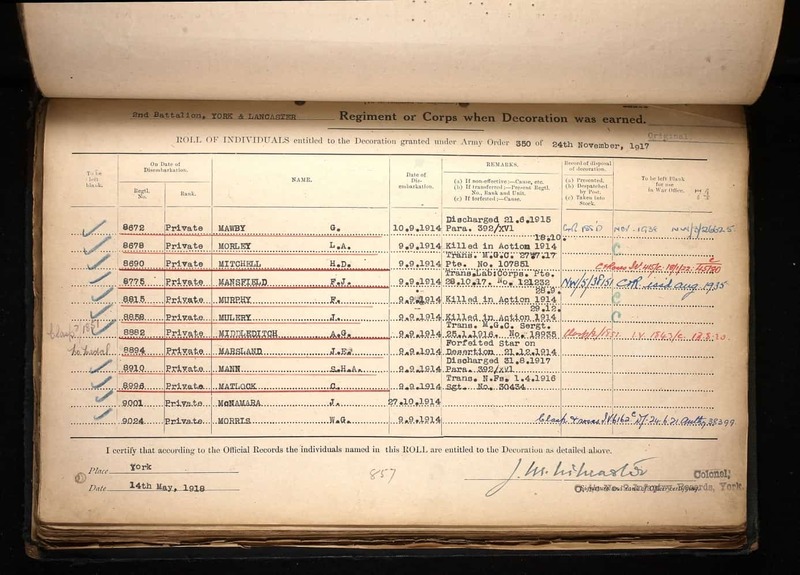 He became a Private with regimental number 8678. 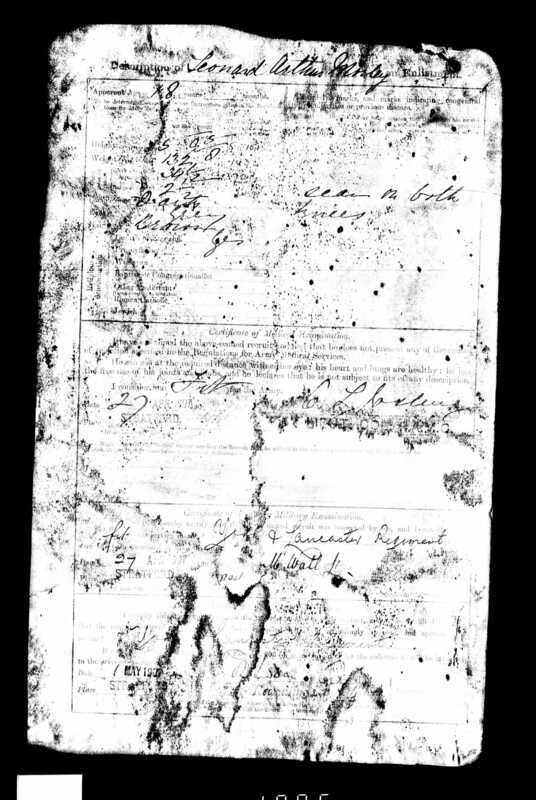 At the time of his enlistment he was working as a sawyer and resided in Leyton. He had a dark complexion, grey eyes and brown hair. He had also scars on his both knees. He was exceptionally tall for that period of time. 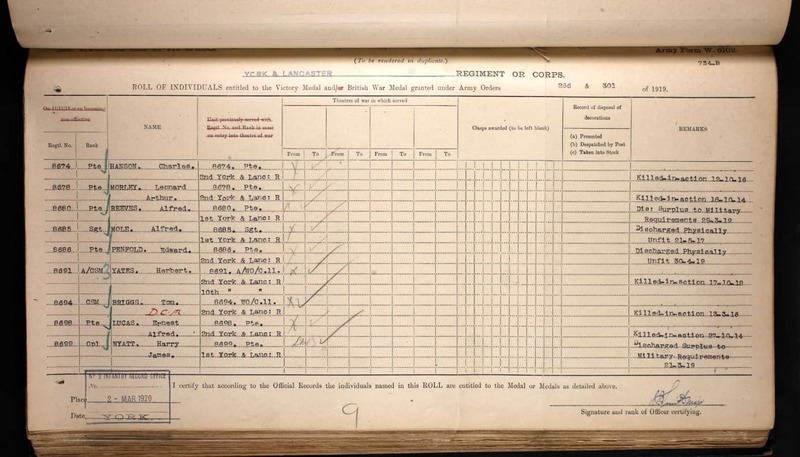 At the time of the 1911 Census, Leonard was a Private of the 2nd Battalion, the York and Lancaster Regiment stationed at the Dettingen Barracks, Blackdown, Farnborough. 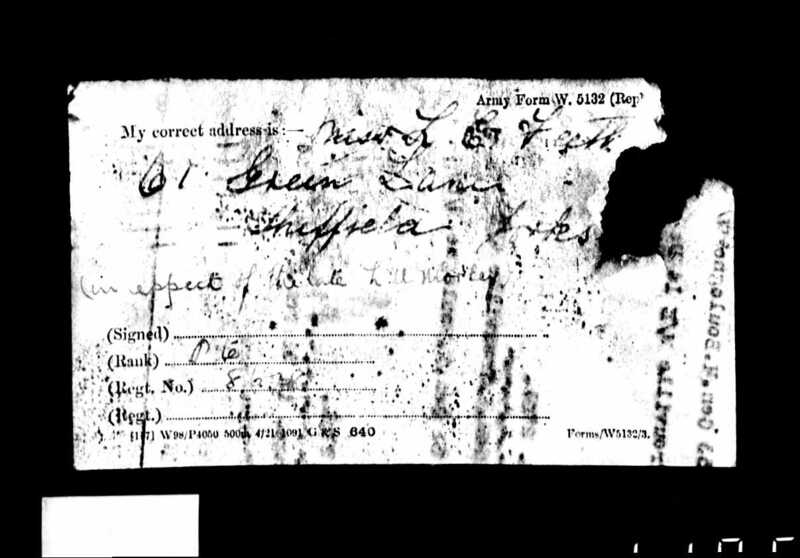 At this time he was serving with Private Frank Ernest Feetham, a brother of his fiancée Lucy Ethel Feetham. 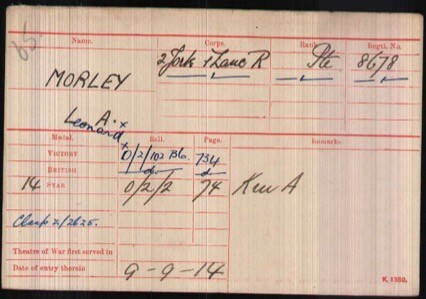 After completion of five years’ service with the 2nd Battalion, the York and Lancaster Regiment, Leonard was transferred on the 5th of June 1912 into the Army Reserve. 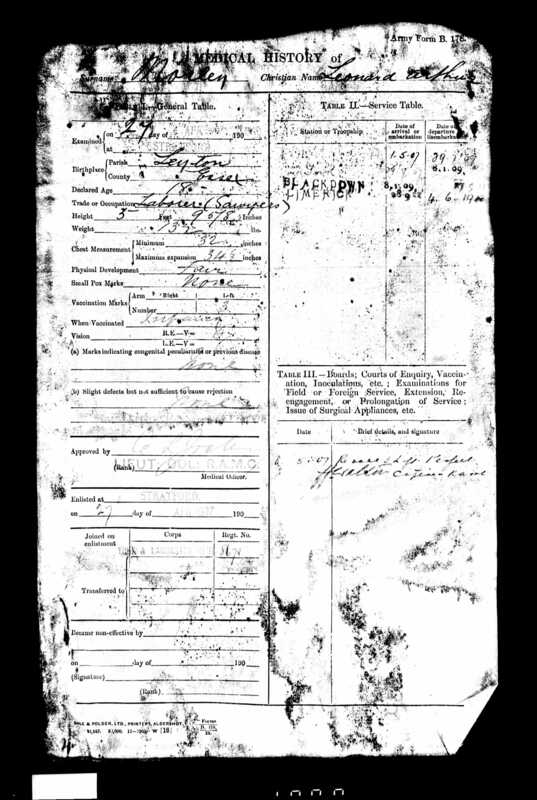 After mobilisation, he served from the 5th of August 1914 to the 7th of September 1914 on the home front. 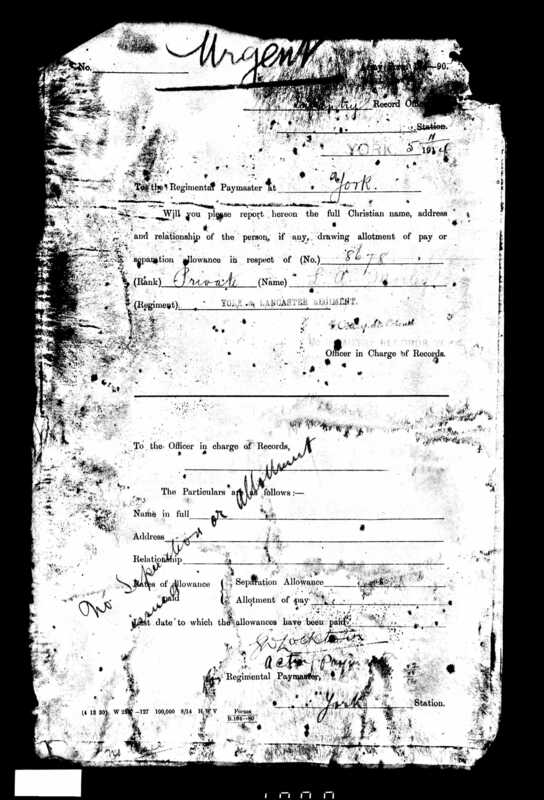 He disembarked on the 9th of September 1914 to France. 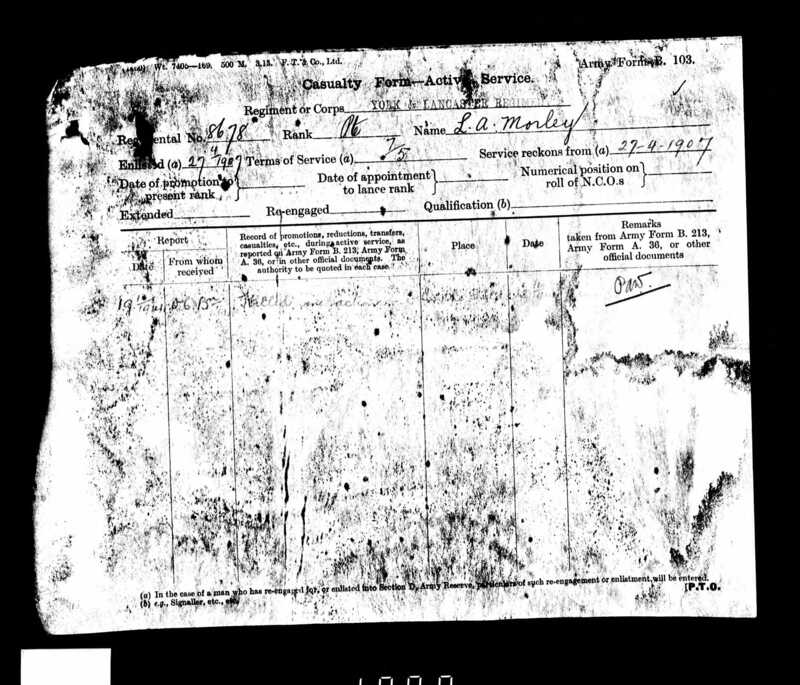 Leonard Morley was killed in an action on the 18th of October 1914 in a field close to the village of Beaucamps-Ligney in Northern France. 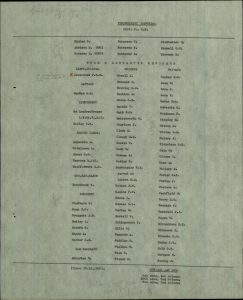 With his body not being found, he was commemorated on the Ploegsteert Memorial. Leonard Morley was awarded the British War and Victory medals and the 1914 Star. Leonard’s fiancée Lucy Ethel Feetham of Green Lane, Shalesmoor, Sheffield, became his sole legatee. 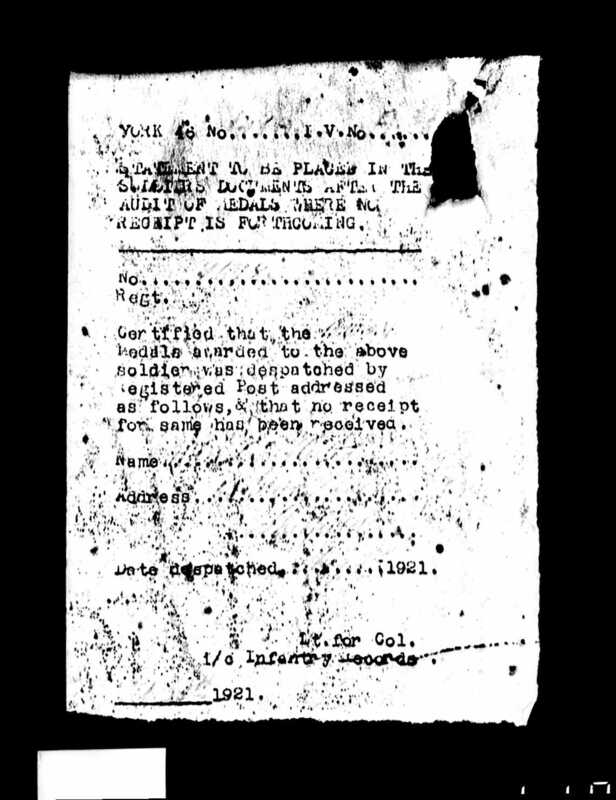 She also received £6, 15s and 8d on the 26th of February 1915 and a further £5 on the 8th of July 1919 in Soldier’s Effects and his personal property. Lucy married Leonard’s brother Albert in 1915, and named her second son Leonard Morley. Leonard jnr was born in the 3rd quarter of 1924 in the Registration District of Sheffield, Yorkshire. Lucy Ethel Morley died in 1971 in the Registration District of Sheffield, Yorkshire. Leonard Morley was one of 15 soldiers whose bodies were found in 2009 in a field close to the village of Beaucamps-Ligny. The soldiers were part of the 2nd Batallion, the York and Lancaster Regiment. Morley’s body was identified in 2014 after his DNA was matched with that of surviving relatives. His family now live in Canada. 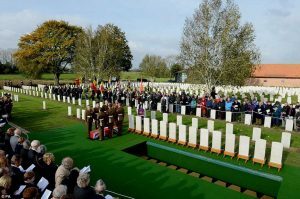 His remains were buried with full military honours at the Y Farm Military Cemetery, Bois-Grenier near Lille on the 22nd of October 2014. His grave reference number is: N. 43. 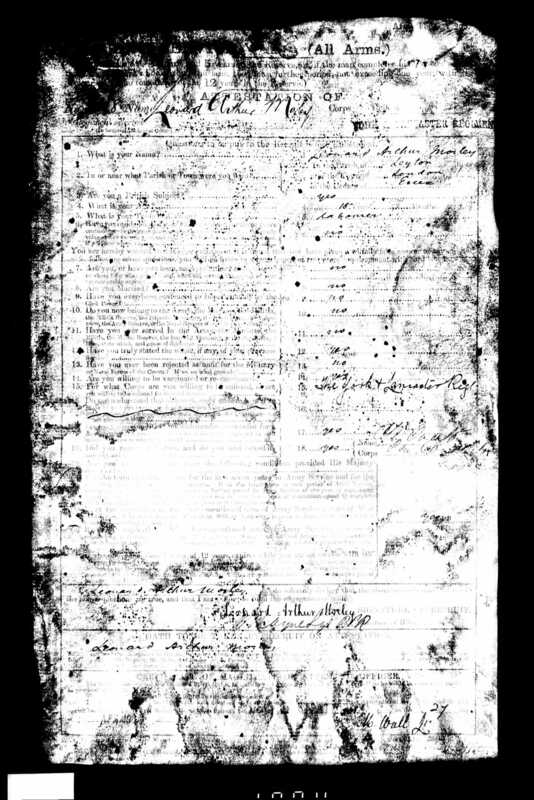 Leonard Arthur’s father James Morley was born about 1858 in Nutfield, Surrey to general labourer Thomas Morley, born about 1815 in Nutfield, Surrey, and Ann Morley born about 1816 in Bletchingley, Surrey. 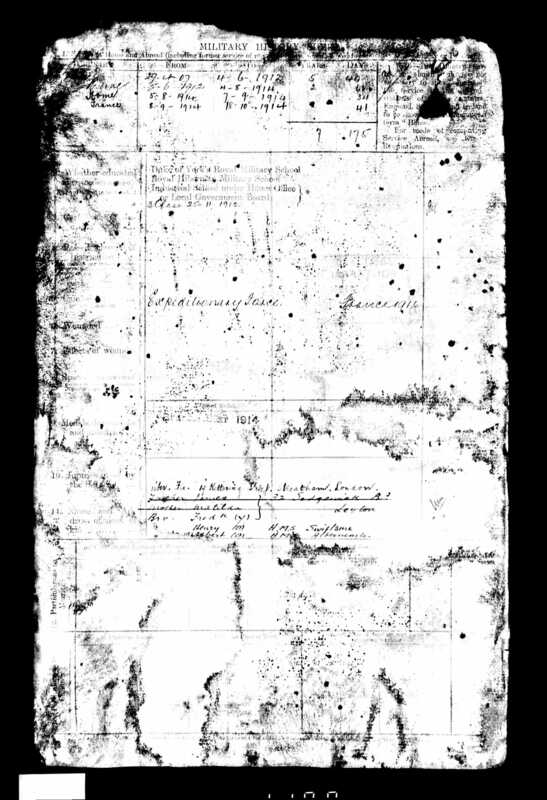 His mother Matilda Atkins was born about 1859 in Merstham, Surrey to labourer Joseph Atkins and Susannah Atkins. Matilda was baptised on the 9th of January 1859 at St John’s church in Coulsdon, Surrey. James Morley married Matilda Morley, by Banns, on the 25th of May 1880 at St Katharine’s church in Merstham, Surrey. 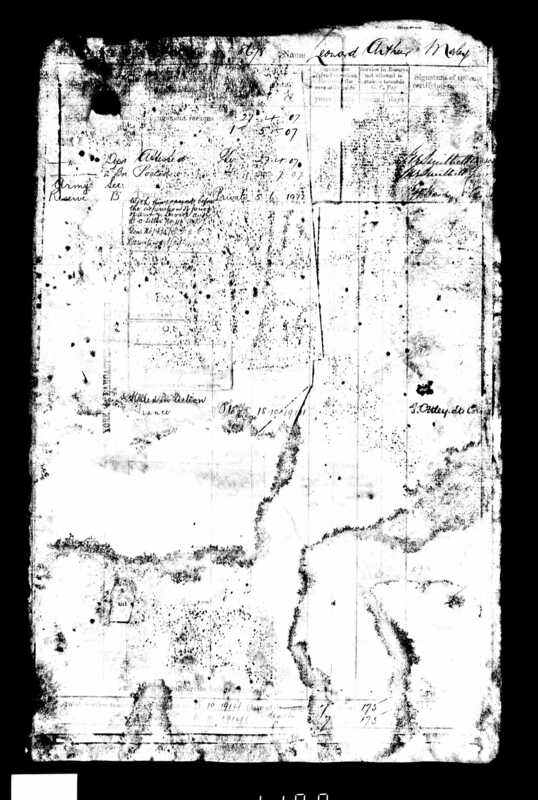 At the time of their marriage James was working as a labourer and lived at Nutfield. Matilda lived at Merstham. Leonard Arthur Morley had nine siblings of whom seven are known: Florence Louise Morley born about 1885; Gertrude Ellen Morley born about 1886 and Henry James Morley born about 1889, all born in New Cross, Middlesex; Albert (called Herbert) Edward Morley born on the 8th of February 1890 in Croydon, Surrey; Violet May Morley born about 1896 in Box Hill, Surrey; Constance Maud Morley born about 1901 and Fredrick Charles Morley born about 1904, both in Chiswick, Middlesex. 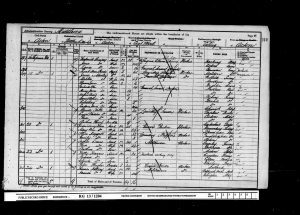 At the time of the 1891 Census, the family lived at Norbury Crossing, St Helens Road, Croydon, Surrey. James was working as a station master and Matilda was at home looking after their children: Florence; Gertrude; Henry and Albert. Lucy Ethel Feetham was born on the 28th of July 1894 in Sheffield, Yorkshire to steel forger John William Feetham, born about 1857 in Attercliffe, Sheffield, Yorkshire and Ann Elizabeth Feetham born about 1858 in Park, Sheffield, Yorkshire. 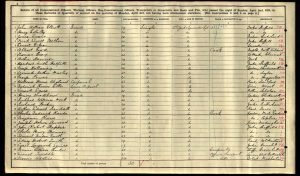 At the time of the 1911 Census, Lucy was working as a drysalter’s packer. Lucy Feetham married Leonard’s brother, Albert Edward Morley, by Banns, on the 15th of December 1915 at St Jude’s church, Moorfields, Sheffield. At the time of their marriage Albert was a Petty Officer in the Royal Navy and the couple resided at 61 Green Lane. Albert had brown hair, brown eyes and a fresh complexion. Cemetery Y. Farm Military Cemetery, Bois-Grenier.